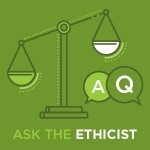 Apra : Blogs : Ask the Ethicist: Giving Conditions? Ask the Ethicist: Giving Conditions? Send them a full detailed list? Give them a very condensed list with name, city, state and title, but no contact information? Share lists only with fundraising volunteers who have signed a confidentiality agreement and understand the highly confidential nature of its use and disposal? I want to help, but I also want to do what’s ethical. What can I send? I understand your desire to help. Option No. 3 is the winner here. Create a confidentiality agreement for your area; discuss with your organization’s leadership and/or legal counsel to establish best practices for the distribution and content of lists. Note that you should be having open discussions with your organization’s leadership on how to protect your institution while working with dedicated volunteers and the ethics of sharing confidential information with volunteers. The more care you assign to information-sharing parameters, the better. Have a question for the Apra Ethics & Compliance Committee? Send it to eschmitt@aprahome.org.